The American School Counselor Association (ASCA) recently updated the ASCA Student Standards for school counselors to reflect the latest research and best practices for enhancing student achievement and promoting college and career readiness. The new standards, ASCA Mindsets and Behaviors for Student Success, describe the knowledge, skills, and attitudes students need to achieve academic success, college and career readiness, and social/emotional development. 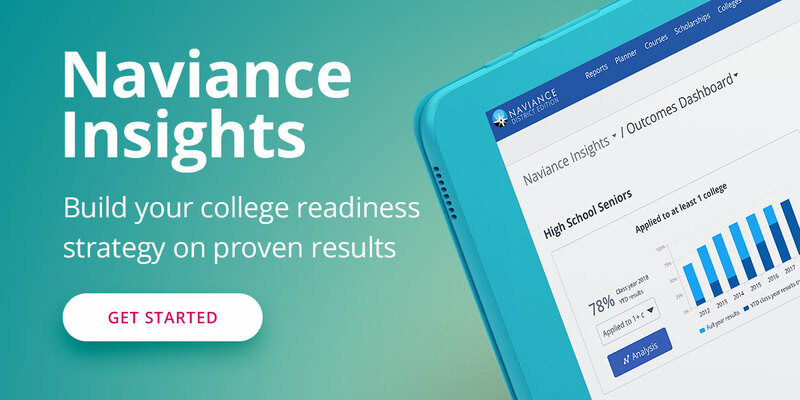 Founded by counselor educator Dr. Lawrence K. Jones, Career Key is a Naviance by Hobsons partner that offers an online career assessment for middle and high schools students that matches them to careers that fit their strongest Holland personality types. Career Key believes school counselors’ reliance on standards like ASCA’s Mindsets and Behaviors to create comprehensive school counseling programs provides many benefits to counselors and students. Focuses on and prioritizes student needs based on research -- the best way to meet student developmental needs. Supports counselors’ critical role in student success in a challenging 21st century education landscape. Connects theory to practice in a systematic, practical way. Reinforces our belief that all students can achieve high standards. Supports our values related to equality that all students deserve access and opportunities to discover, grow, and create a successful career and future that match and matter to them. Identifying career interests through career assessment is only one part of achieving college and career readiness, but it is one of the most important and common. For example, it is the third most common element of state-mandated Individualized Learning Plans, according to a new nationwide survey by NACAC and Hobsons. In a new infographic, Career Key depicts the mindsets and behaviors from the Career Development Domain students cover in a classroom activity taking the Career Key test, a valid career interest inventory based on Holland’s Theory. The infographic takes an informal approach to the standards and is intended to spark interest in program planning incorporating them. This is a good time of year to get visual with standards as counselors plan their programs and students work on ILPs. School counselors can have greater confidence in the quality and efficacy of their efforts when these kinds of activities are aligned with ASCA Mindsets and Behaviors.